The active entertainment that is fun for all ages!! 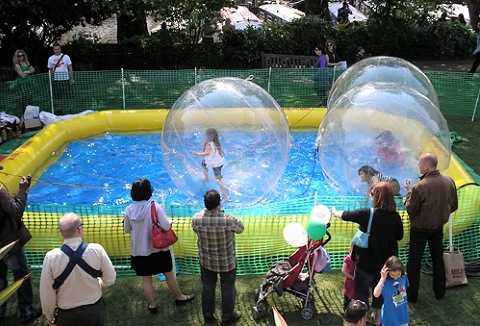 Our 5 clear, 2m balls and 10m x 6m pool is perfect any location in or out, and adds that different touch to children's parties, summer shows or that weekend event. Corporate event enquiries welcome.